I was thrilled! 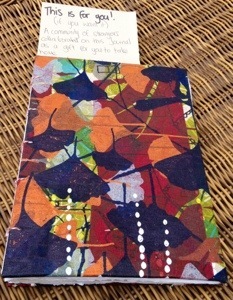 Not only did someone who’s been following the project find a Journal, but it was because of Catherine’s comment that I’d changed how I planned to do Drops! Honestly, I love this project!